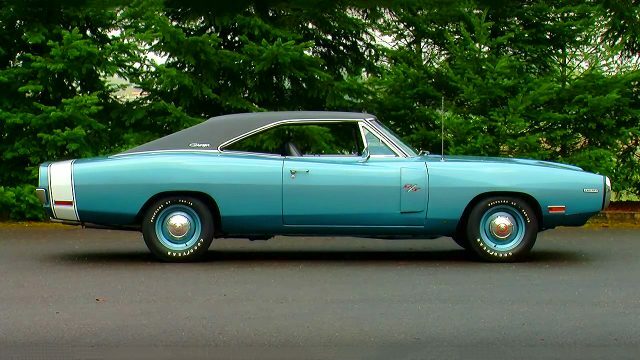 The 1970 was the last year for this style of Charger, which in our opinion is the best and the most legendary Dodge Charger model ever produced. 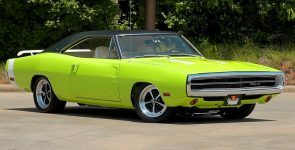 This particular 1970 Dodge Charger R/T 426 Hemi (R/T stands for Road and Track) is the best option for this model, the very powerful engine with upgraded suspension. 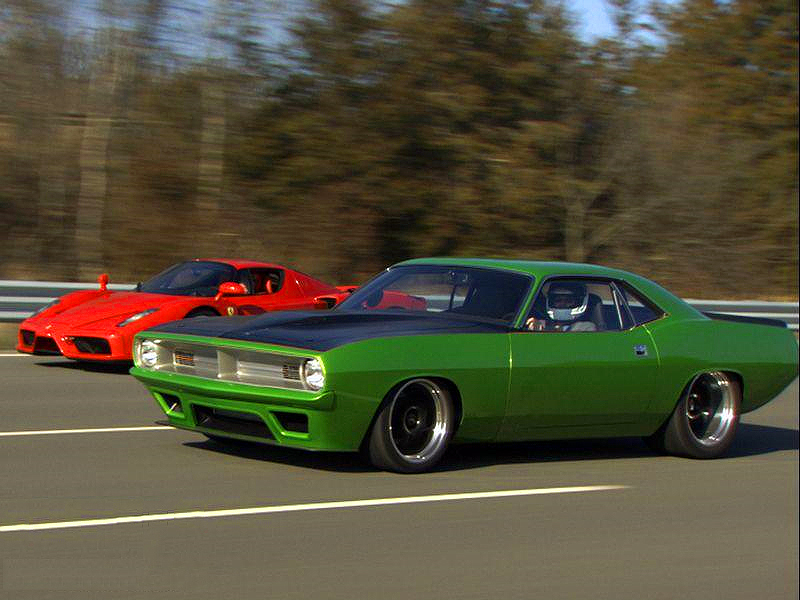 The ’70 Charger was mostly recognized by the thin line along the front grille. 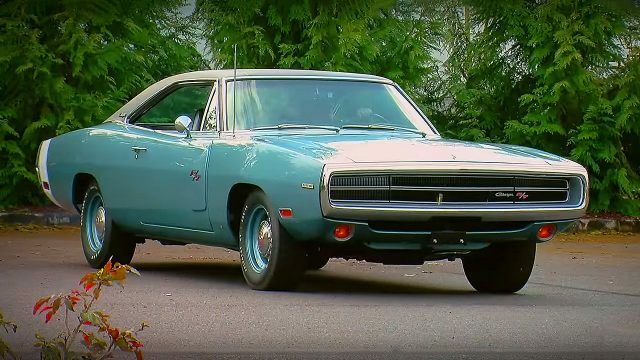 But this particular has unusual exterior combination, the EB3 light blue metallic body color, chrome details and black vinyl top make this Charger absolutely gorgeous. On the other side the luxury interior is equipped with a leather bucket seats, woodgrain dashboard, steering wheel and center console. 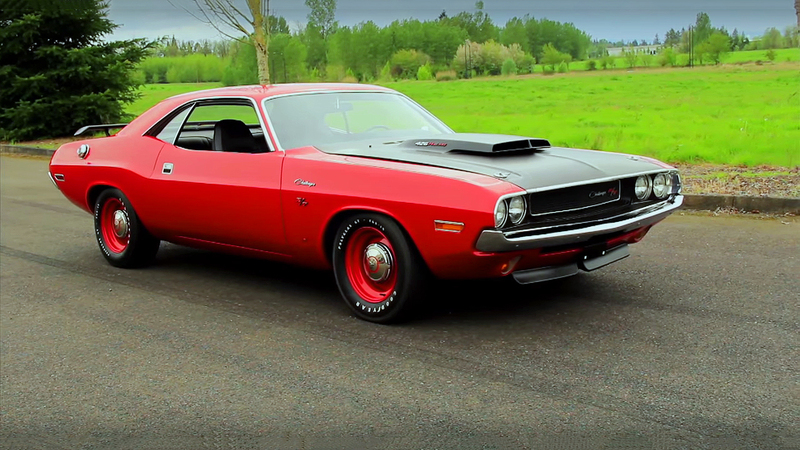 Under the hood there is the most legendary Chrysler’s 426 cubic-inch, 7.0 liter big-block Hemi V8 engine. 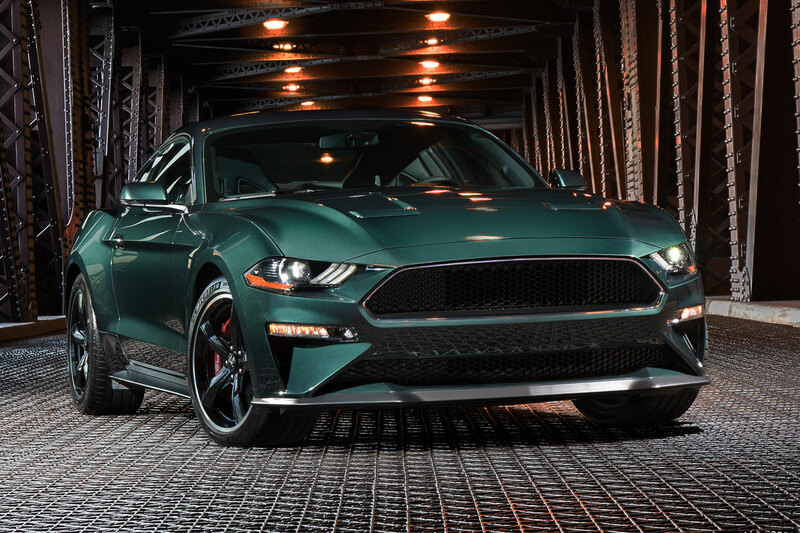 With two-four barrel carburetors on top, this engine produces 425 horsepower and 425 lb.-ft. of torque. This engine is very different from other big block engines, because the higher you rev the more power you get. TorqueFlite A727 3-speed automatic transmission spins the rear axle, while the performance at that time were very impressive, from 0 to 60 mph in just 6 seconds and top speed of 130mph.